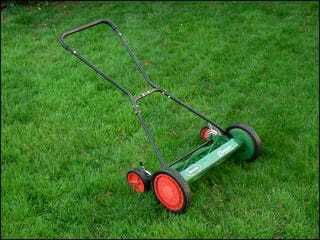 The lovely scent of cut grass is the reek of plant anguish: When attacked, plants release airborne chemical compounds. Now scientists say plants can use these compounds almost like language, notifying nearby creatures who can "rescue" them from insect attacks. A group of German scientists studying a wild tobacco plant noticed that the compounds it released - called green leaf volatiles or GLVs - were very specific. When the plants were infested by caterpillars, the plants released a distress GLV that attracted predatory bugs who like to eat the caterpillars in question. They found that when these plants are attacked by tobacco hornworm caterpillars, Manduca sexta, the caterpillars' saliva causes a chemical change in the GLV compounds the plants had produced. These modified compounds then attract predatory "true bugs," Geocoris, which prey on hornworm eggs and young larvae. Although more research will be needed to figure out exactly how the molecules in the caterpillar saliva cause this change in the GLVs, it's clear that the caterpillars themselves cause the change in the GLV signal, the researchers say. It may thus be possible someday to induce the same sort of change via genetic engineering, which might protect plants against pests without encouraging the resistance that pests develop in response to pesticides. Below you can see Geocoris attacking a newly-hatched larva, after responding to the tobacco plant's GLV signal. I think what's most interesting about this study is the way it suggests that plants have a rudimentary form of language based on releasing these chemical compounds. These tobacco plants have the ability to modulate the signals they send out, depending on the kind of attack they're suffering. Combine this discovery with the one a few weeks ago, that plants are able to perform simple computations, and it's clear that the average person underestimates how much plants are dynamically engaged with their environments. It's interesting to imagine plants as having truly alien forms of consciousness and communication - different from animals' minds, but sometimes performing similar tasks.